Santa Anita Park Saturday Picks and Plays February 7, 2015: The Santa Anita Park late pick four offers wonderful races including the San Antonio Invitational Stakes GII and the San Marcos Stakes GII, both with the presence of well known horses. This week at Santa Anita Park we’re analyzing the always tough to hit late pick 4 on Saturday, February 7, 2015. The late pick four starts with race #6 at approximately 3:00 PM PT. I’m choosing five horses in this wide open race without any certainty to pick the winner. Pulling G’s showed speed in his first three races but he was unexpectedly slow in the start. 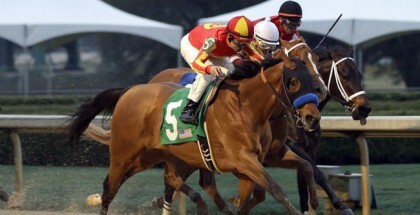 He played the heavy favorite in his last race where he made a big move in the last turn, but it was not enough to win. However, if he breaks well he’ll be in the mix. Celebrity Status is cutting back in distance and that will help him. His last work was really amazing and Elvis Trujillo stays in the irons. Got Even is the speed of the speed, and always runs well. Someone needs to duel in the lead with this horse, if not, he will wire the field. If the pace turns hot, Cautious Giant is the likely winner of the race. He’s also cutting back to a distance where his late running style is more effective. Since his debut, Kristo has been considered a good horse, but he’s only won a single race. However, he’s always in the mix and someday he’ll win at huge odds. This horse ran wide in his last race and finished fourth, just 1 ½ lengths behind the winner. San Marcos Stakes: Dynamic Sky lost all chance to win in the San Gabriel G2 when he was literally blocked by a wall of horses in the stretch. The jockey just didn’t find a room to run and the race was over. This time with a clean trip, he’ll be really tough to beat. Plus, he’s doing very well in his morning workouts. Nakatani repeats the mount and that’s a sign of confidence. The San Marcos G2 is a tough race, but I’m taking the risk, so I’m using Dynamic Sky as a single. 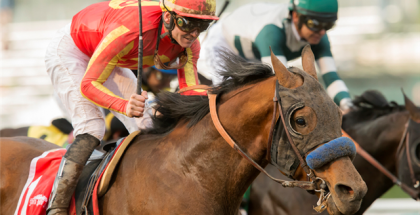 The San Antonio Invitational Stakes: This G2 race is the one everybody is waiting for. We’re going to see the rematch between California Chrome and Shared Belief, with the addition of Hoppertunity, a nice horse trained by Bob Baffert. In this race I’m giving the slight edge to California Chrome. The Kentucky Derby winner finished third in the Breeder’s Cup Classic in a really nice effort. Many people thought he needed one more race to show all of his potential. California Chrome is going to break from the outside, where he loves to run, plus he has a wonderful record at Santa Anita. I think “Chrome” will demonstrate he’s the champion in this race so I’m using him as a single. Recently, Our Little Hen has been threatening a victory and this is a great opportunity to win. She’s stretching out to the mile, a distance that will feel comfortable to her. Thewandaofu is returning from a long layoff but she is dropping in class. A positive note is that the trainer has a great winning percentage with shippers to the United States. Kyriaki returned on January 1, 2015 in 6 ½ furlongs on the turf (Downhill), with a respectable fourth place finish. Since that effort she has been working steadily and an improvement is expected in this race. Arethusa is returning from a 7 months layoff and this is her first race in the grass. She has a nice pedigree to handle the turf and she faced tougher company last year. 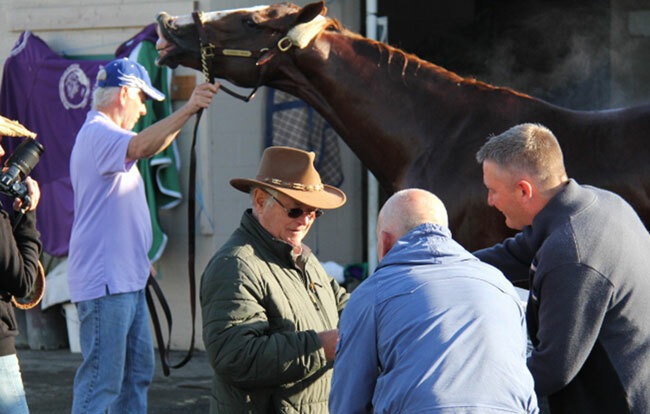 Trainer Art Sherman is as much of a fan favorite as his horse, California Chrome as he signs autographs at Los Alamitos on February 1, 2015 just days before the San Antonio Invitational at Santa Anita Park on February 7, 2015.